Actress Sonali Bendre just opened up last week about her battle against high-grade cancer and everybody around her has been exceptionally supportive and loving towards her. 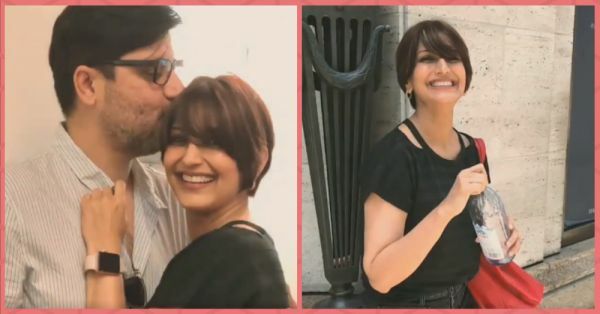 The most heartwarming gesture, of course, came from her husband of 16 years, Goldie Behl. In a recent video the actress shared, the pictures of him affectionately kissing her forehead made our eyes tear up. She's a fighter and he is the adorable husband every strong wife needs. That smile is making my heart melt! How can any two people ever be this cute? Apart from her husband, many Bollywood celebrities came forward to support her battle with the hashtag #SwitchOnTheSunshine, including old friends and wellwishers.